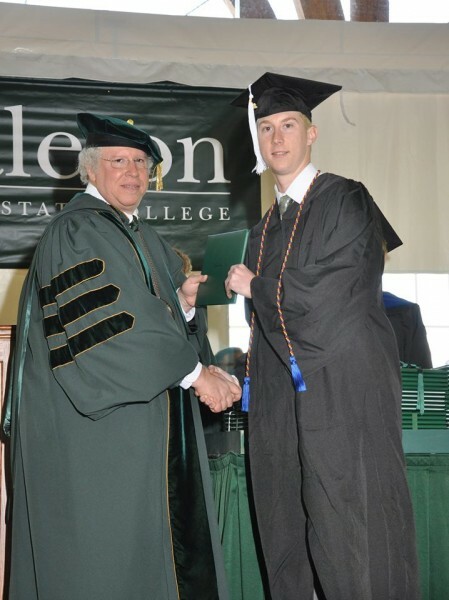 Castleton University Athletic Training alum Stephen Edwards made the voyage across the pond from London, England to the small town of Castleton to earn his degree. Though he hasn't been back to Castleton since graduation, Edwards forever holds fond memories of all the relationships and experiences he made with faculty and students as a Spartan. The 2013 alum, is currently continuing his education at Indiana State University where he is working towards his Master in Science degree as part of the University's Post-Professional Athletic Training Education Program. Currently residing in Terre Haut, IN, where he works as a graduate assistant athletic trainer at the University, the hands-on clinical experience he gained while at Castleton has proven very beneficial in the pursuit of his Master's degree.